At LeadingEdge we’re specialists in delivering state-of-the-art IT solutions to rugby and sports clubs. Our dedication to understanding the complex needs, culture and ambitions of these organisations means we can provide efficient and reliable IT infrastructures that underpin the core elements of each club. We strongly believe that high performance clubs require high performance IT solutions, and our comprehensive range of IT services allows us to expertly meet these demands. With our support, we can help to drive the growth, productivity and efficiency of everyone involved in the smooth running of a rugby club. Read on to find out more about our specialist IT support for rugby clubs. We tackle every project by taking our time to get to know our clients and ensure we have a thorough understanding of their needs, ambitions and the technological innovations that will help to drive growth and improve performance. This is particularly important when it comes to rugby clubs due to the complexity of their demands when it comes to coordinating the activities of all those involved on and off pitch. Find out more by looking at our Strategy & Audit section. Central to a streamlined and progressive working environment in any rugby club is an easy to use IT solution that allows for flexibility, growth and improved collaboration between employees. Our cloud computing expertise allows us to deliver high performance, on-demand and scalable hosting solutions that can support all operations, on and offsite. Read our Cloud Computing page for more information. Key to a consistent and reliable IT solution for rugby clubs is a fast and efficient WiFi service that is accessible throughout the training facility – on and off pitch. At LeadingEdge we’re experts in providing tailored WiFi installation services for large working environments and new builds, whatever the architectural design. Further information can be found on our WiFi page. To facilitate the optimum performance of data networks in large rugby club training facilities, our engineers are on hand to design and install structured cabling solutions. These are essential for linking IT assets and ensuring a network supporting multiple users runs efficiently at all times. Find out more on our Cabling page. For many rugby clubs, traditional software and hardware holds them back from performing to their full potential. At LeadingEdge we take time to assess existing IT infrastructure to identify IT solutions and technology investments that will significantly enhance performance, monitoring and improvement. Shifting to new hardware can dramatically change the productivity and efficiency of employees in a rugby club – making it a more streamlined and progressive working environment. Find out more on our IT Upgrades & Renewals page. In 2014, LeadingEdge was awarded the opportunity to deliver state-of-the-art IT infrastructure to the London Irish Rugby Club. Their purpose-built facilities at their new headquarters and training ground in Hazelwood, Surrey required a robust IT infrastructure that could support all those involved in the efficient running of the club and new training facility. It was a fast paced and complex project, but the IT solution we delivered has completely transformed the club’s working environment – providing a stable and scalable platform for the future. 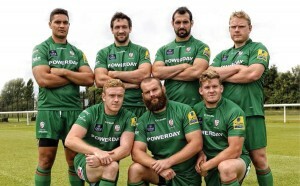 Click here to read the full London Irish Rugby Club IT Support Case Study. If you’re a rugby or sports club looking to advance your IT solution to drive performance, improve collaboration and optimise efficiency, get in touch to find out how we can help you.